Jeanne Elizabeth Vunderink Guy was born the only child to Alvin and Elva Vunderink on March 8, 1926 in Cleveland, OH. She passed way in Dunkirk, NY, at the Chautauqua Center for Skilled Nursing and Rehab on February 15, 2017. She was 90 years old. She grew up in South Bend, Indiana, and there met her future husband, John Liles Guy, who was attending Naval Officer Training at the University of Notre Dame. They corresponded faithfully throughout the war. After WWII ended, they continued education together at Bob Jones College (now Bob Jones University), graduating with bachelor’s degrees in music, hers in piano, his in voice. They married in South Bend on July 3, 1947. They traveled as the musical team with Christian evangelists for five years. They then settled in Cleveland. She first worked as a bank teller and then taught elementary public school. She continued her education at Case Western Reserve University, earning a Master’s degree in Education. They continued service as church musicians on a regular basis, and she spoke and served as an officer in Christian Women’s Clubs of America. They had two children, Robin and Marc. During this time, she worked as a substitute teacher in elementary schools and later as the producer of a music appreciation show over enclosed satellite television for the Parma Public School System. After retirement, she moved with her husband to southern Alabama, his native home. 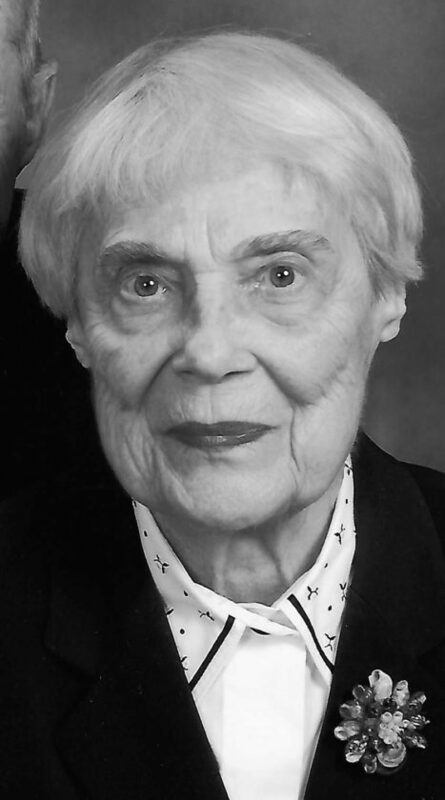 She remained active in church music, Federation of Music Clubs, and the Geneva Women’s Club for many more years, teaching piano and living in Hartford and Black, AL. She also spent eleven summers on Staff at Interlochen National Music Camp (soontobecome Interlochen Arts Camp) in northern Michigan, where Jeanne worked from 1979 89 in the Attendance and Scheduling Office and John as Cashier in the Hotel. Their daughter Robin also worked there on Accompanying Staff and Piano Faculty during these years. The couple moved to New York to be closer to family in 2009, returned to Alabama later that year, and then moved back again in fragile health in 2012. Jeanne was preceded in death by both parents and her husband John. She is survived by daughter Robin (Todd Seelye) of Cedar Falls, IA, son Marc (Linda Steele) and grandsons Peter and Daniel of Dunkirk, NY. Arrangements in Dunkirk are being handled by McGrawKowal Funeral Home. A memorial service will be held at the convenience of the family. Memorial gifts may be sent to Hartford United Methodist Church, 205 S. 3rd Ave, Hartford AL 36344.